Hyperdynamics (HDY) continued to rally on Wednesday following yesterday's double digit pullback. After enjoying triple-digit percentage gains over Monday, Hyperdynamics (HDY) stock is slipping lower. The oil and gas explorer exploded earlier in the week on news its drilling partner Tullow Oil had lifted a force majeure on a joint project in Guinea. Hyperdynamics Corporation (HDY) stock is exploding Monday on the news Tullow Oil, a drilling partner, had lifted its Force Majeure on a joint project in Guinea. The law firm of Wohl & Fruchter LLP is investigating possible violations of federal securities laws by officers and directors of Hyperdynamics Corporation (Hyperdynamics) (NYSE:HDY). Hyperdynamics (HDY) plummets amid a U.S. investigation into the company. Tullow, a U.K. explorer that chiefly operates in Africa, suspended work at a project off Guinea as the U.S. Department of Justice and the Securities and Exchange Commission investigate Hyperdynamics, its partner at the site, with regard to the acquisition and retention of exploration rights in Guinea. Tullow had planned to start drilling a deepwater well at the site by April 1, but the company has suspended that plan thanks to the U.S. probe. The company "cannot proceed with its activities on the license until these issues are resolved," spokesman George Cazenove told Bloomberg. Girard Gibbs LLP is investigating potential claims on behalf of purchasers of Hyperdynamics Corporation (“Hyperdynamics” or the “Company”) (NYSE: HDY) common stock. These stocks could get squeezed much higher if they report positive earnings this week. 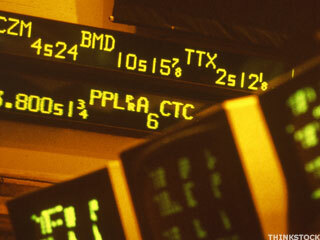 These names may be worth adding to your watch list, as some players seem to expect these three small cap stocks to pop in early-2012. 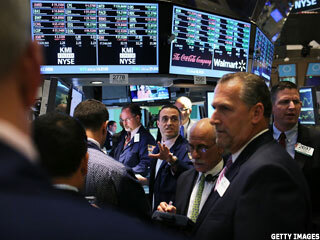 Cramer said the violent market swings are signs of a sick market in need of long-term fundamental change. Cramer says it's a great utility stock. Cramer runs down 10 issues that need to be dealt if the the market is to turn around. Cramer thinks highly of the company's CEO. Tomorrow is options expiration, so we could see another flat day. Ebix closed higher after it assured investors that there haven't been any negative developments at the company that would warrant the sudden drop in its shares. Tullow Suspends Work Off Guinea as Partner Investigated by U.S.